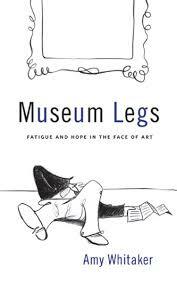 Museum Legs: Fatigue and Hope in the Face of Art by Amy Whitaker – Just completed this one – loved the fresh take on museums, it is full of history and great research. If you can make it past the first chapter or two discussing the various party flavors at assorted museums, you will be in for a treat. The author has a unique background in art and business, and her writing style is comfortable which makes wading through some heavy though essential histories of museums bearable and rewarding. 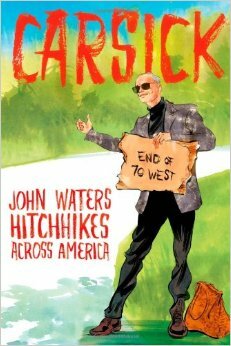 Carsick: John Waters Hitchhikes Across America by John Waters – One of my heroes, and definitely a role model, John Waters makes a cross-country road trip by hitchhiking. The first two sections of the book describe the ultimate road trip and the nadir of road trips. The final section of the book is the actual road trip. Brilliant. How Georgia Became O’Keeffe: Lessons on the Art of Living by Karen Karbo – I’m 3/4 of the way through this one – it’s a requisite read for a mini seminar I’ve been asked to do in July on O’Keeffe. I’m not thrilled about it, however this book has reunited my interest in this ubiquitous-college-dorm-poppy-flower poster icon. I actually copied one of her paintings when I was little, and am now learning all about her nomad, un-tethered existence that was as ballsy as Patti Smith dating Robert Mapplethorpe. Instead of a gay, brilliant aesthete, her husband Alfred Stiegliz was a straight aesthete with a gallery (helpful). 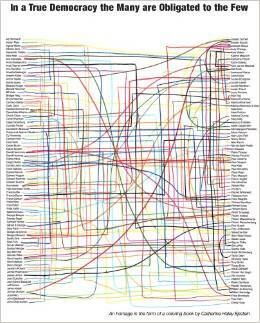 Karbo’s writing is like “Museum Legs” – very casual, and well researched. And she’s a local author. Wee hoo. Excellent Sheep: The Miseducation of the American Elite and the Way to a Meaningful Life by William Deresiewicz – I’m a sucker for sociology books, and this is no exception. While commencement addresses abound, vimeo and youtube inspiration for graduates circulate 20 year past that time for me, I’m thrilled to read the point counterpoint of the business that is the diploma mill. Critics of the book raise valid points that while the author is extremely critical of the Ivy’s he has been ensconced in them for over 20 years (Columbia for school, Yale for adjunct professorship). Unlike his critics, I would venture his message is more valid because of his experience. Yes, education reform needs addressing in higher education as much as in k-12. Thanks for writing Mr. Deresiewicz. The Monsters of Templeton by Lauren Groff – The only work of fiction on my list (thank you for the gift Meghan E. Hunt). I believe there is more truth in fiction, and more fiction in truth, and I will defer judgment on the finest lens for the truth. Oh, and it’s about murders and bastards, and Mr. Stephen King has endorsed it. Fun. In a True Democracy The Many Are Obligated to the Few, by Catherine Haley Epstein – because everyone needs to color more on planes. From the director Richard Linklater of the Ethan Hawke/Julie Delpy Before/After Sunrise series comes a fictional film taken over the course of 12 years. They filmed one boy and his actor family from ages 6 to 18. While the story is make-believe, the creative process and continuity in this movie is profound and compelling. Can’t wait to see it. Saw it. Loved it. There is no better film right now for the subverting of a popular myth/fairytale, and for the beautiful that is Angelina Jolie – she is too beautiful for other films, and this caricature of a beautiful, scorned and reformed fairy is touching and new. Thanks Disney for taking this bold position. Symbolically the movie represents matriarchy versus patriarchy, and yes the Internet is aflutter with discussions of what certain scenes mean actually. It is all around simply entertaining. I'm happy to have given you the one piece of fiction for your summer reading! And it's a good one, too. :) Also, loved Maleficent - it's the only movie I've ever seen Angelina Jolie in that I felt she fit the part perfectly. I laughed, I cried, I would 100% see it again and again.